Today’s Free Button is now available at Small Press L-08! Get yours before we run out! Here is today’s FREE Button! Come on by Small Press L-08, but hurry because we are running low! Here is my Free Exclusive Button at Small Press L-08! Make sure to come early to my booth if you want one! Good luck everyone! Want my SDCC buttons but you’re not going to SDCC? Or you want the Limited Edition Print? Share these images and follow me to enter my contest for a chance to win these prizes! There will be 4 winners total, so good luck! 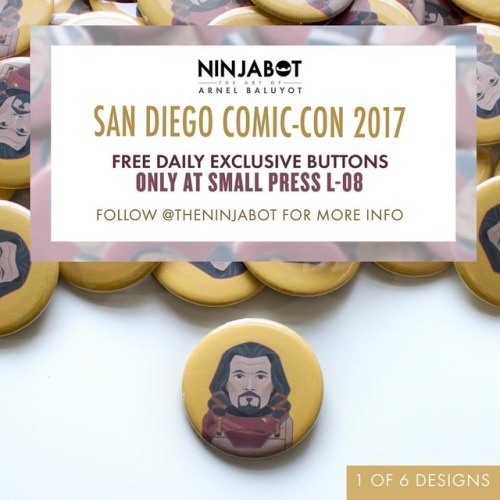 Sunday’s Free Button for SDCC always goes fast! Make sure to get yours as soon as you can because we will not be selling these later! Can’t wait for SDCC to get here already! It’s going to be so fun! 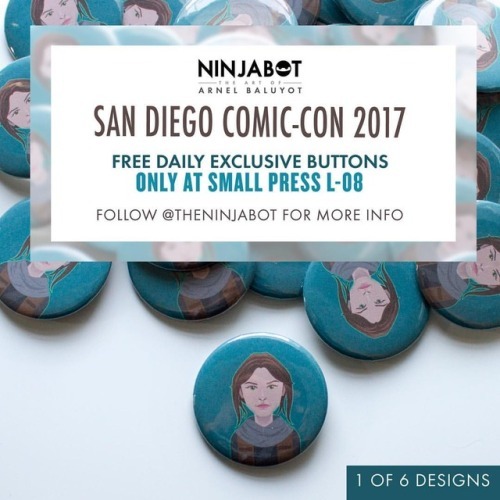 For SDCC this year we have a FREE secret button!! You can only get it if you say that phrase in the box at our booth Small Press L-08! We will not have signs at the booth about it, so if you don’t follow us you won’t know about it! 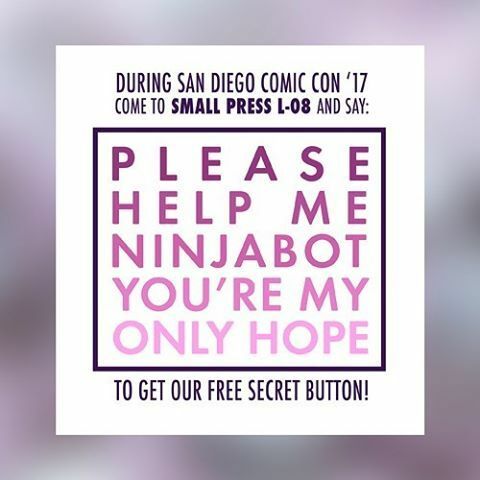 Here is today’s Free Button at #SDCC at Small Press L-08! Come and get it before they are all gone! 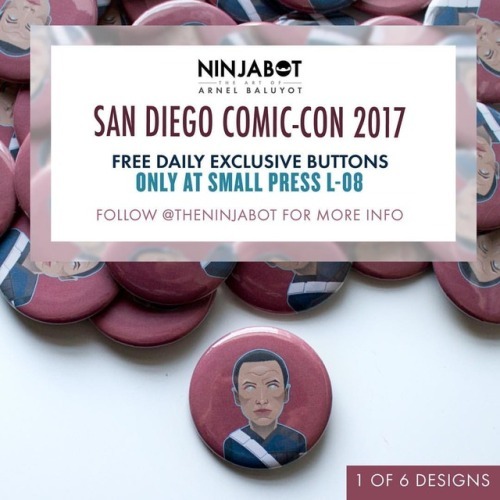 Today’s FREE Exclusive Button giveaway for #SDCC Small Press L-08! Come soon before we run out! 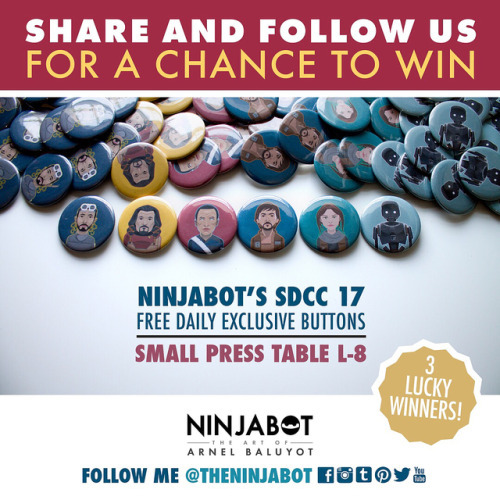 Come get our Free Daily Exclusive #SDCC Button at Small Press L-08 before we run out! Things are getting pretty serious here. Which button will win? !